Pilot Examiner John Laing congratulates Darren Kroeker. 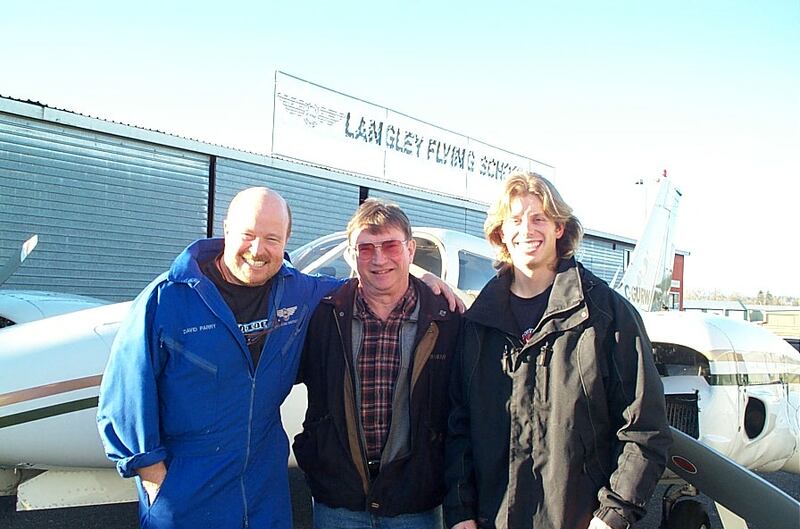 Darren Kroeker with John Laing and his Flight Instructor, David Parry. Commercial Pilot Student Darren Kroeker at the controls of Piper Seneca GURW during an engine feathering exercise. 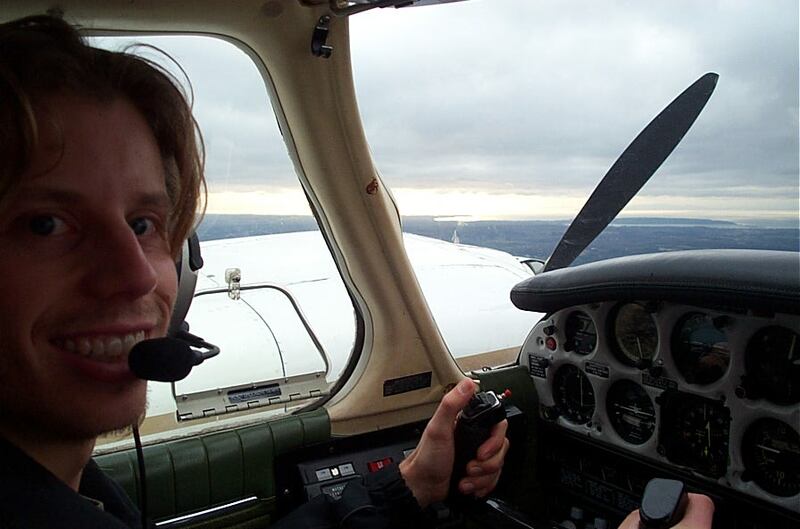 Darren successfully completed the Flight Test for his Multi-engine Class Rating on December 17, 2010.